Painter in the Grey Zone: Talking with Jude Sibley - Charley Brady - Opinons; My Own. 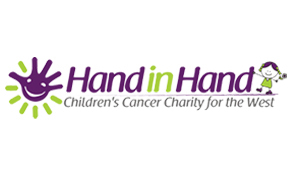 This article originally appeared on the Hand in Hand Children’s Cancer Charity Website in July, 2014. Extraordinary, really. We go into things with such pre-conceived notions. With the best will in the world, we do that. And when those notions are met with…oh, someone you weren’t expecting, and this is coupled with their views sometimes being harsh, you find yourself stepping back and re-evaluating all that you have thought in advance. Before I meet anyone that I’m writing about, I want to know some background first. In theory that should be simple in this day and age of easy access to information; but it’s not, really. Sure, if you take everything at face value and view it as black and white that will keep things straightforward; but here in Jude Sibley’s world we enter a zone of rich greys. Greys that are the colour of sickness. And those greys don’t come alive through the printed word. It takes someone who has experienced what Jude has to paint over them in vivid, often disturbing tones. Because when you meet Jude you enter the world of children’s cancer treatment and the way in which it affects and…changes those who are touched by it. There is an echo of that as Jude talks. Now that might cheese some people off. Me? I think that it makes her human. 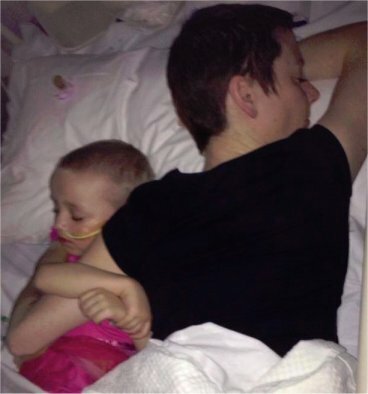 The history of Jude and Leighton Morrison’s daughter Lily-Mae will be well known to most who are reading this article, but a brief recap may be appropriate. This little girl has suffered grueling treatments that would have leveled many a full grown adult. The list reads like a catalogue from Hades: there have been the initial treatments in Crumlin Hospital; a stem cell transplant; over to London for Intensely Moderated Arc Radiotherapy among other ordeals; and now trips every three months to Grand Rapids, Michigan in the United States, for what her mother calls a ‘maintenance trial’. Here she receives scans and a drug called DFMO, which she takes orally at home. It’s a Phase II clinical trial, the prime goal of which is to prevent relapse. And at the end of all that Lily-Mae still has a cheerful smile on her face. To raise the money to sustain this endless cycle Jude and Leighton, who live in Claregalway, have become necessarily expert in the field of fundraising, famously successful with the single– a cover version of Elton John’s ‘Tiny Dancer’– which was the biggest selling charity song after Live Aid. In fact it went global. Jude has been helping out at Hand in Hand behind the scenes for some time now, although circumstances mean that this is the first time I’ve met her; so I’m curious as to how she discovered the charity. “I actually came across a flyer close to the beginning of Lily-Mae’s ordeal; and someone had contacted my sister and mentioned them as well. 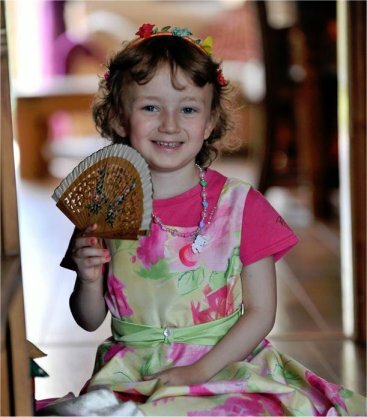 “Both Leighton and myself had been advised to give up working for the moment, as we didn’t have a clue how long we would be in Crumlin and we had Lily-Mae’s little brother Evan to consider as well, since he was only two at the time of the diagnosis. “I made contact with Hand in Hand who organized regular household cleaning. “I would believe that I have a clean home but they went into just everything. It was well and truly what is called a ‘deep clean’. And you don’t realize how enormously important that is. The child can’t be allowed to do many of the normal childhood activities, particularly after a transplant. “The charity also offers a laundry service. I don’t have a drier and you are going through so many sets of sheets as there are nosebleeds due to the platelets being low. And vomit; there is a hell of a lot of vomit. So that was a blessing. “I didn’t need the child minding service because my mum took Evan, which in a strange way was actually helpful to her. We were going flat-out for eighteen months and in that time my father died. I couldn’t even be with him at the end. “Jennifer [Carpenter, Development Manager] was amazing. Hand in Hand had come along to the launch of the Sunni Mae Trust and just to talk to her was a help. Because you’re suddenly using all this medical jargon that obviously a lot of people don’t get. And some friends drop you; they just can’t cope with it. Perhaps it’s because they have children of the same age. Jude also works with ‘Light It Up Gold’, which promotes children’s cancer awareness and, rather remarkably, still manages to run two dance companies; one is professional and one is the Arts Council-funded Youth Ballet Company. I ask her what she sees in the future and her answer is typically pragmatic. “Do you know, I sometimes still can’t believe that all this has happened? “I was once very career driven. That, like a lot of other things, has changed. Although I’m driven in other ways now. “I’m going to be working much more closely with Hand in Hand, for one thing. “I’m learning not to live in fear of relapse. You can’t live like that. Well, you can but you’re not much good to anyone. Whilst she was in treatment I remained adamant that Lily-Mae would have a life, which seemed to earn me some criticism.